Christmas and the holidays is a wonderful time for gooseberries, currants, berries and stone fruits. 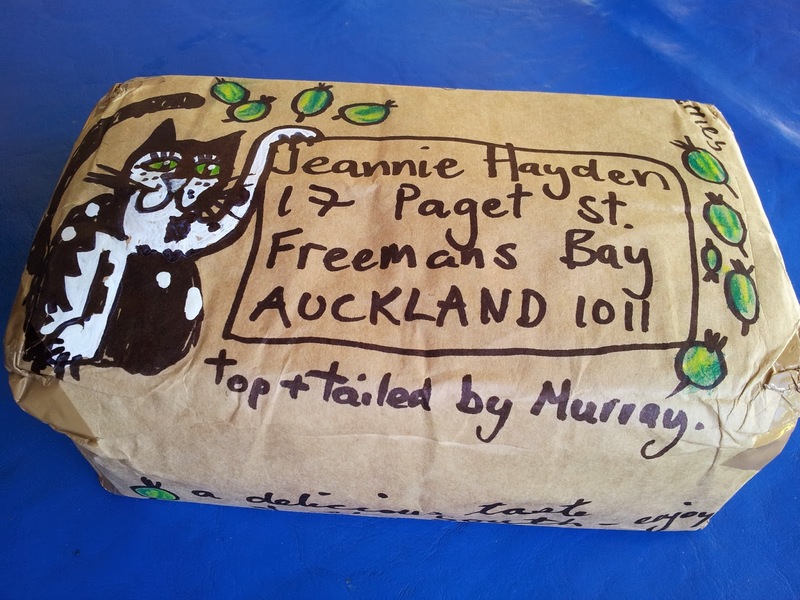 I have just experienced ten glorious days with Peter’s family in Hawkes Bay where you can go and pick your own berries or visit orchards that sell tree ripened stonefruit. Up here in the sub tropical north, I miss the southern gooseberry season . 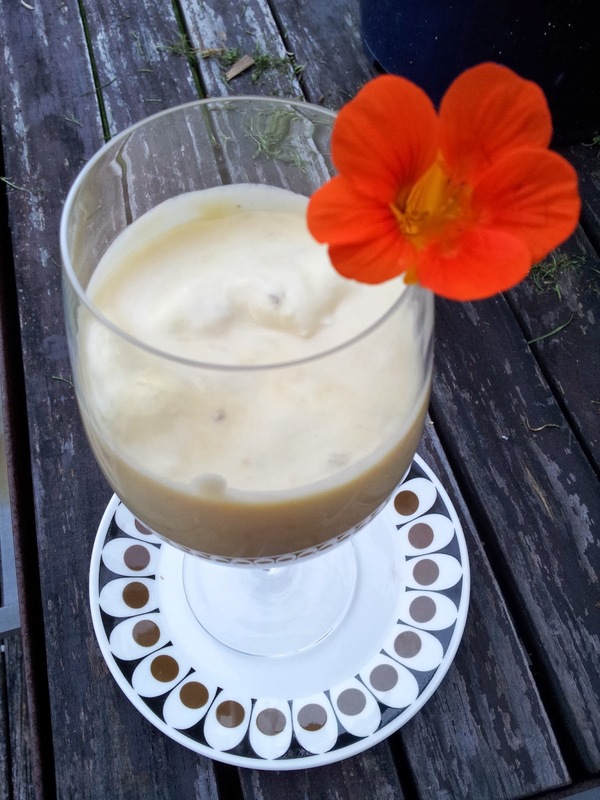 These well travelled gooseberries were like gold so I quickly froze half for later use in my favourite gooseberry recipe, see “Gooseberry Shortcake and Sweet Cicely” (Sept 2012) and the other half I used to make the classic English dessert, Gooseberry Fool. 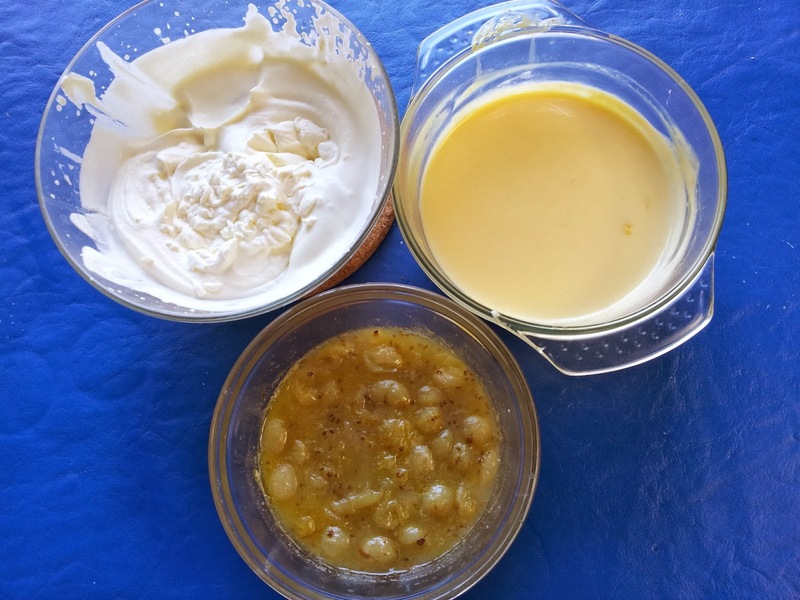 I previously made the fool with 50/50 cream and yoghurt in “Five Good Things with Gooseberries” (December 2012) but this time I made the fool using a mix of custard and cream. You can use yoghurt instead of cream. I make this custard in a pyrex bowl over top of a pot of boiling water (keep the water level just beneath of the glass bowl)… you can make this custard in a pot on the stove but you have to keep an eagle eye on it so that it doesnt catch and burn on the bottom. Next step, cook up your gooseberries – I had 400g and added 75 gm of sugar… (if you have more gooseberries then use the same ratio of berries/ sugar). Next, melt a knob of butter then add fruit and sugar – no water necessary as the water comes out of the berries as they cook. If making this at the beginning of the gooseberry season while Elderflowers are around, add in a head of blooms. Alternatively, a slurp of elderflower cordial will add that extra dimension to your fool. 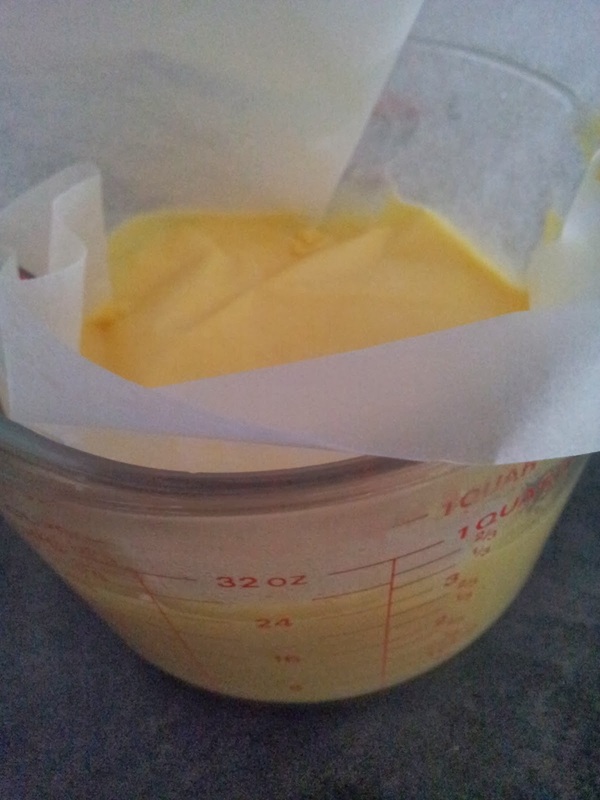 Once the fruit and custard are cooled, beat the cream – I used approx 200ml of cream. You could replace the cream with a thick Greek style yoghurt. Once mixed, chill well before serving. 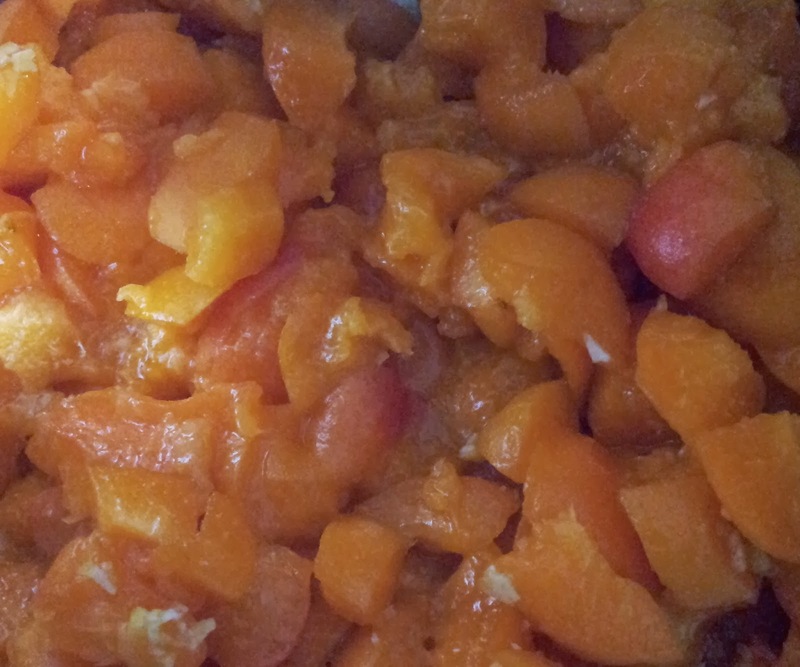 At Christmas, I made another Fool, this time using cooked apricots. It’s a great use for apricot seconds that don’t look or taste perfect enough for eating raw. When cooked, they have a far better flavour. 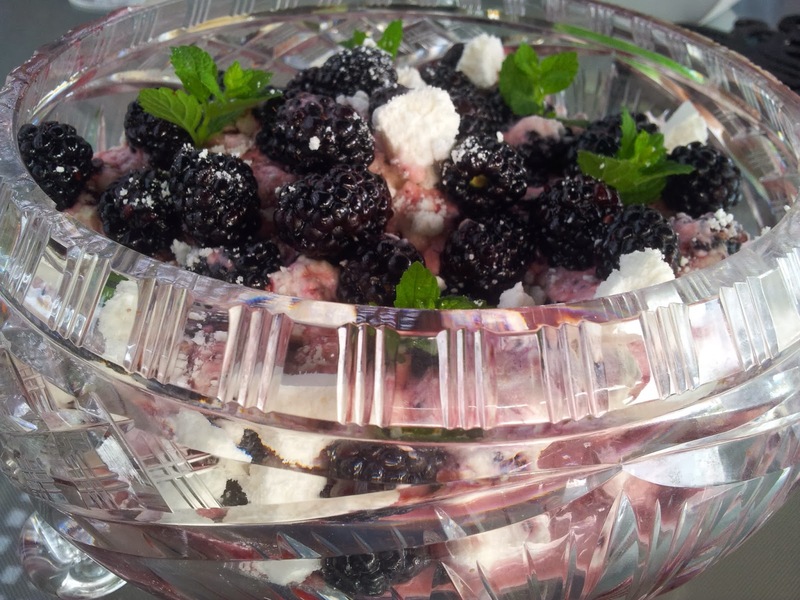 At it’s simplest, Fool is stewed or crushed fresh fruit, folded into whipped cream. 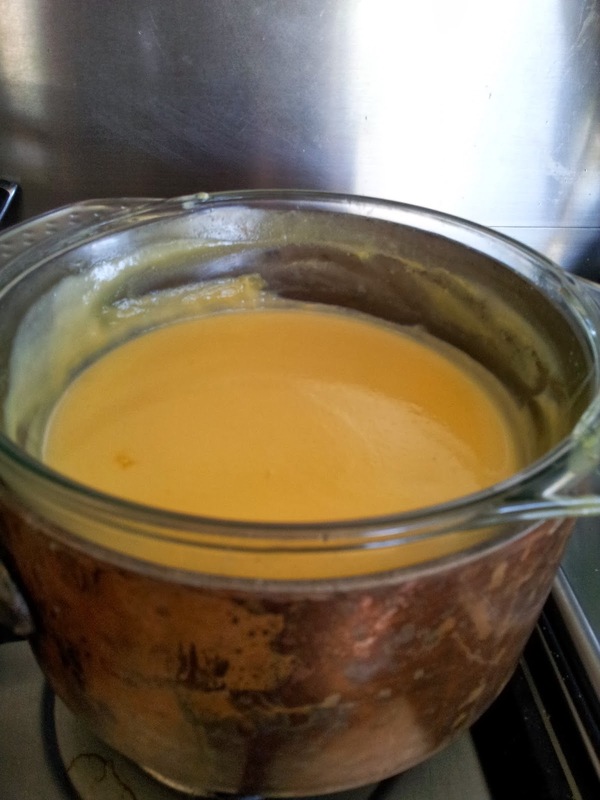 I have discovered the custard component adds a richer flavour to the Fool. While my Apricot fool was a little runnier than I had wanted (for the custard I used 3 egg yolks leftover from Pavlova making instead of 4 in the recipe I had previously used). However, it was eagerly lapped up by the family and pronounced delicious. As so often happens in the kitchen, out of disaster sometimes a new dish is created. She mixed up the broken pavlova with the fresh fruit and cream creating what is now called, ‘Eton Mess’. 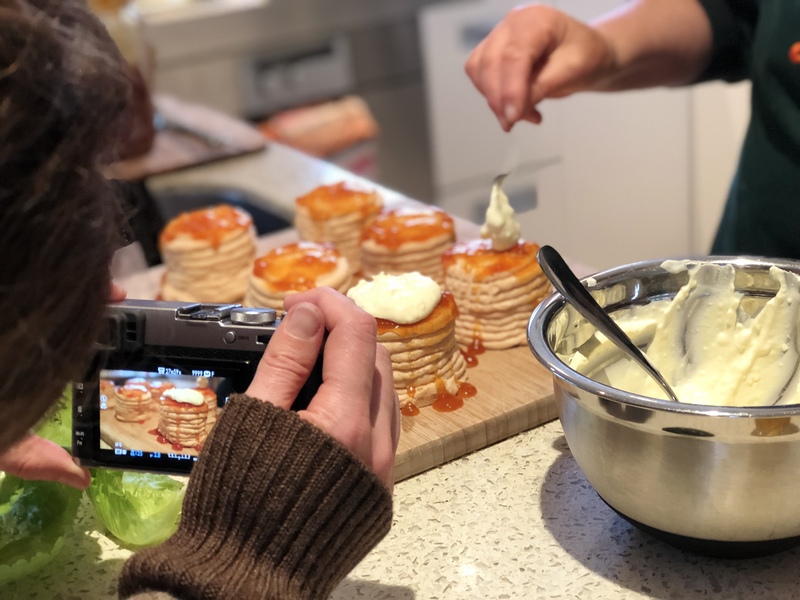 Crush 8-10 meringues – making sure there are some big pieces as well as crushed meringue. She said if I had used homemade meringues I would have got 5 out of 5. Francie knows about good meringues and treasures her grandmother Molly’s meringue recipes. Molly had more than one recipe … and a reputation for producing great meringues. Francie has been trying to find that crunchy yet chewy meringue recipe that Molly used to make for her when she was a small child. She thinks she has found it, and if it’s the right one, she will share it with us at a later date. Yes, you can have too much cream… so no more Eton Mess or Fool for me now that Christmas festivities are over and I’m back at work, sitting on my bum all day in an office.